Even though I grew up in Southern California, there are a lot of tourist attractions I never had a chance to see when I lived there. These days, when I go back to visit my family and friends I try to check out some of the places that especially showcase what a naturally beautiful area California is (which of course I never appreciated until I moved to the concrete jungle of NYC). 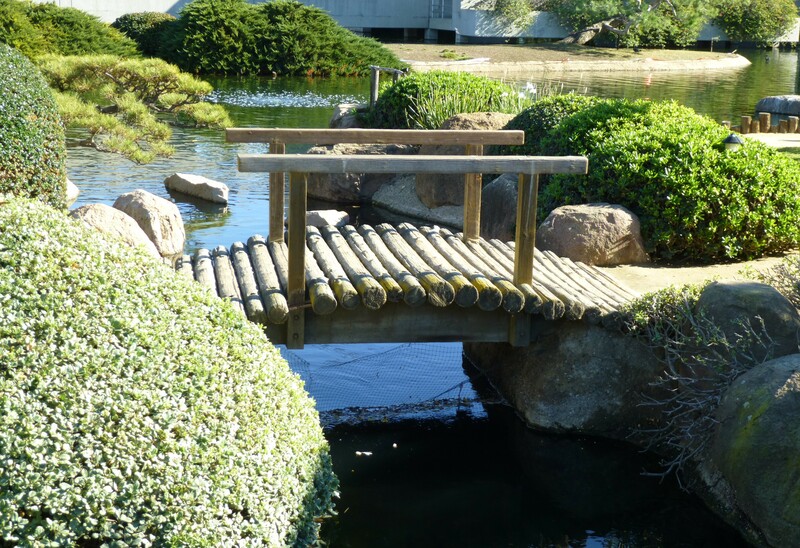 On my most recent visit at Christmas, I had a fun time with my friend Sue at the Japanese Garden, located in Balboa Park in the city of Van Nuys. 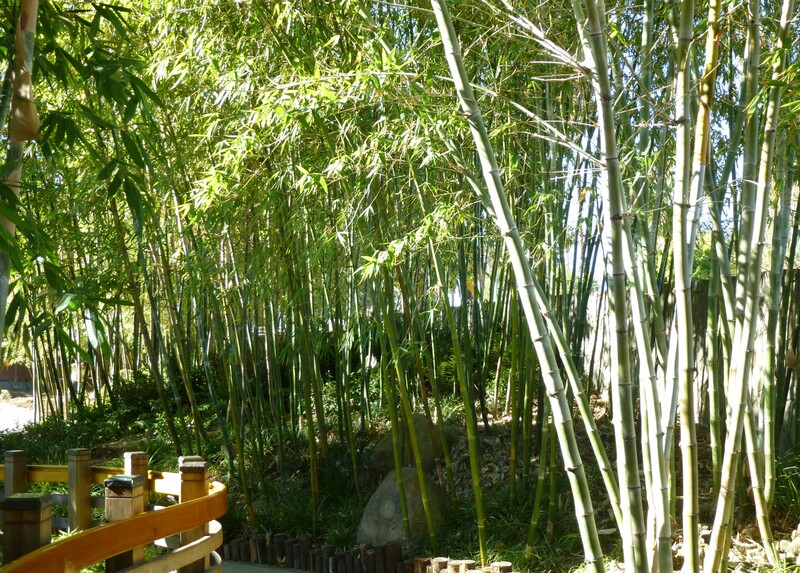 If you’re a fan of the fun Tattoo Artist reality competition series Best Ink, then you might recall the Japanese Garden from this season’s episode where the Best Ink contestants visited it to get inspiration and sketch during the “Design an Asian Tattoo” challenge. 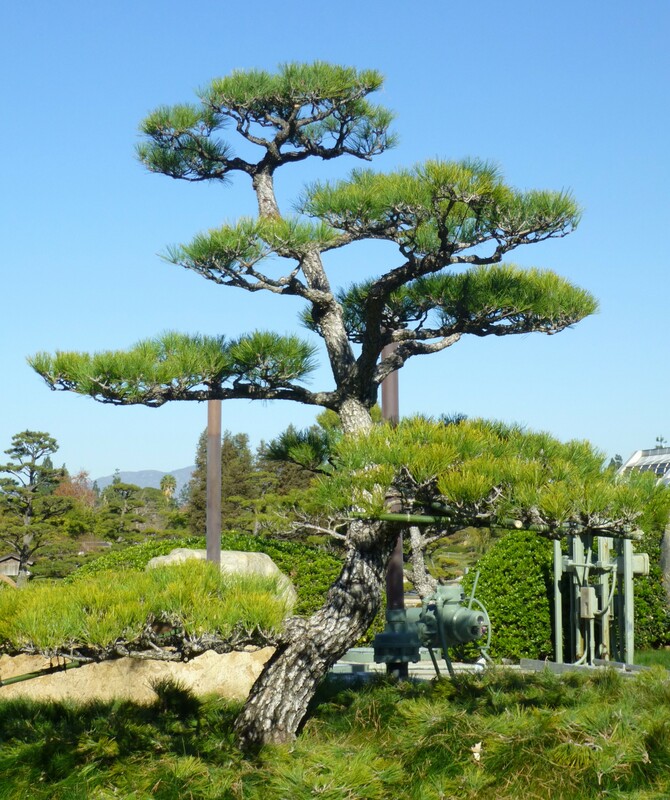 While the Japanese Garden is an ideal place to spend some quiet time enjoying nature or checking out their shrubbery from around the world, like the Thuja Green Giant, it has a constructive purpose as well as being beautiful to look at. 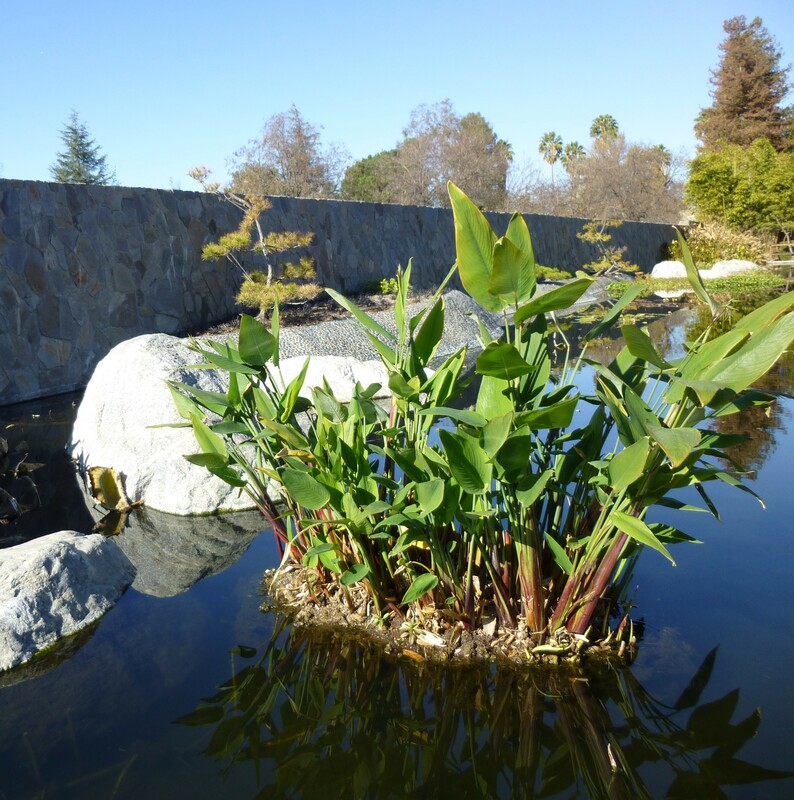 The Garden is actually built on the site of the Donald C. Tillman Water Reclamation Plant, which was designed to produce reclaimed water that will meet the requirements of the California Department of Health Services and the County Health Department. 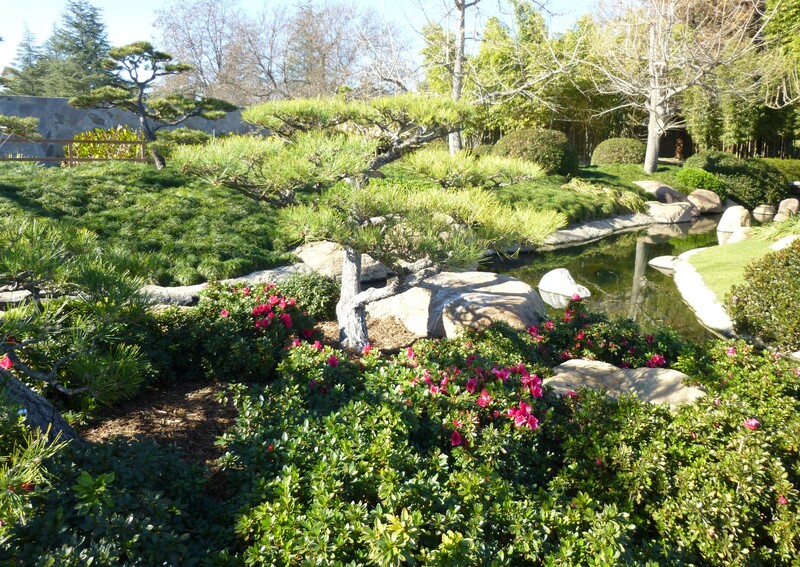 It is apparent that the tree care company staff and direction have a firm grasp on each of the plant’s needs, the garden is lush and healthy. 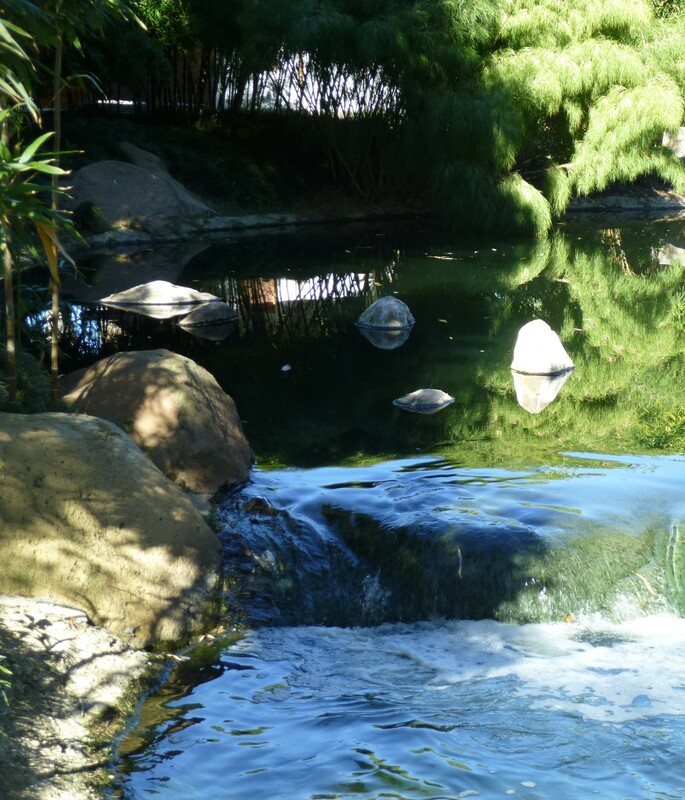 The filtration process takes a total of about 11.5 hours, producing reclaimed water can be made available for specific reuse, with any excess being discharged to the Los Angeles River. These photos were all taken in December, just a few days before Christmas (during the spell of 75 degree, sunny days that Californians refer to as “Winter”), so you can imagine how much more lush and floral this place looks when things start to grow again in the spring. In the uncropped version of the above photo, you can clearly see the reclamation plant in the background. 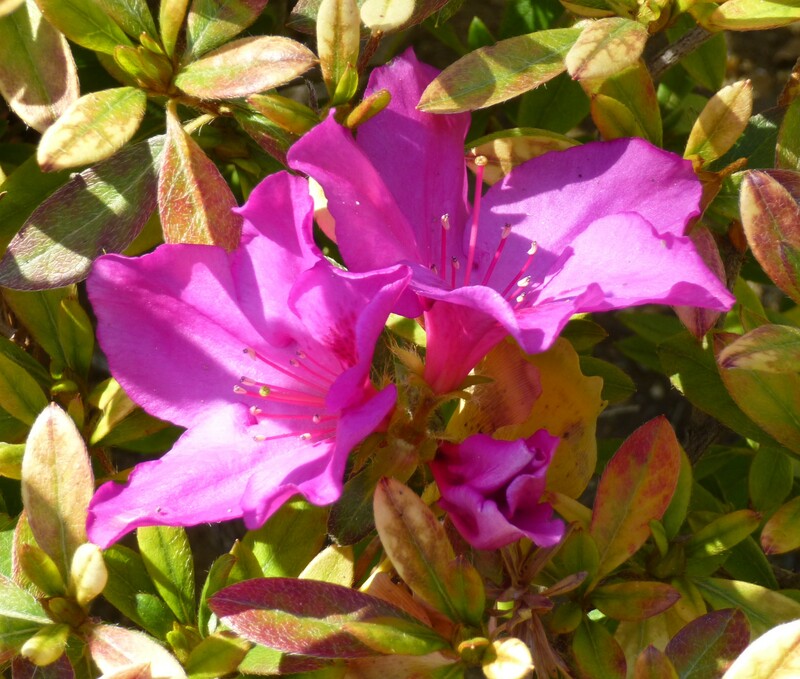 The Garden is also an ideal spot to practice your amateur nature photography skills! 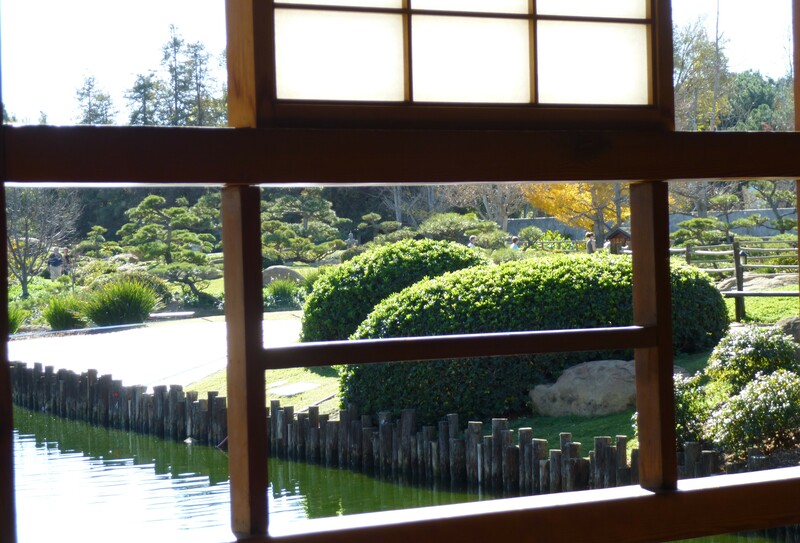 This photo was taken from inside the on site Tea House. 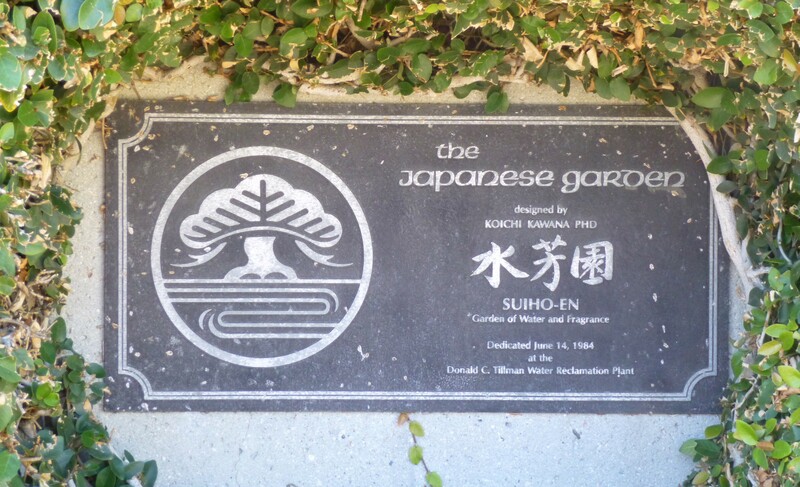 The Japanese Garden is Located at 6100 Woodley Ave, Van Nuys, California, 91406. Hours are Monday through Thursday from 11:00 AM until 4:00 PM, and Sunday from 10:00AM until 4:00PM (the last gate entry each day is at 3:15PM). The Garden is closed to the public on Friday and Saturday, on all LA County Holidays and if it rains within 24 hours of opening time and during open hours. 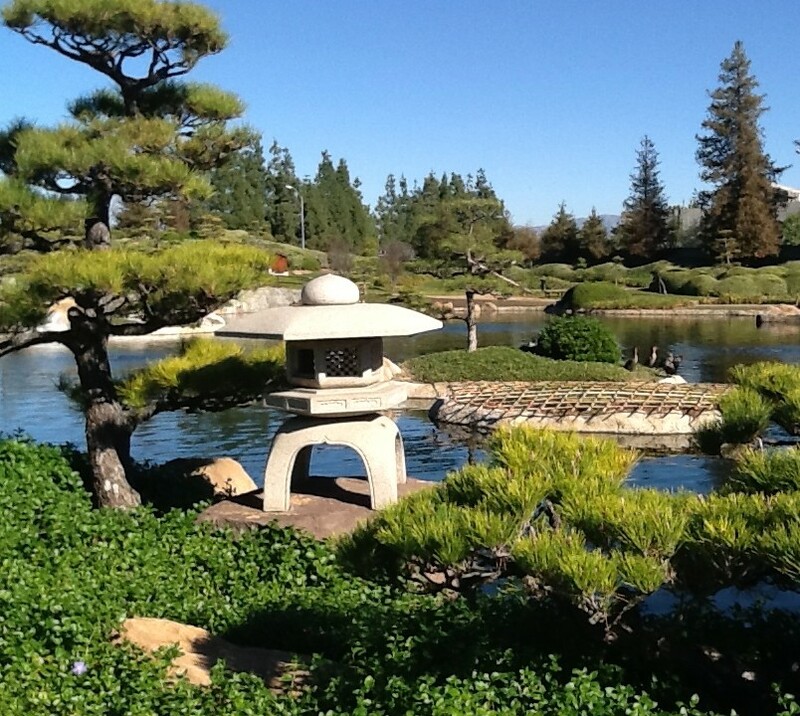 It is suggested that you call (818)756-8166 on the day you wish to visit to make sure the Garden is open. 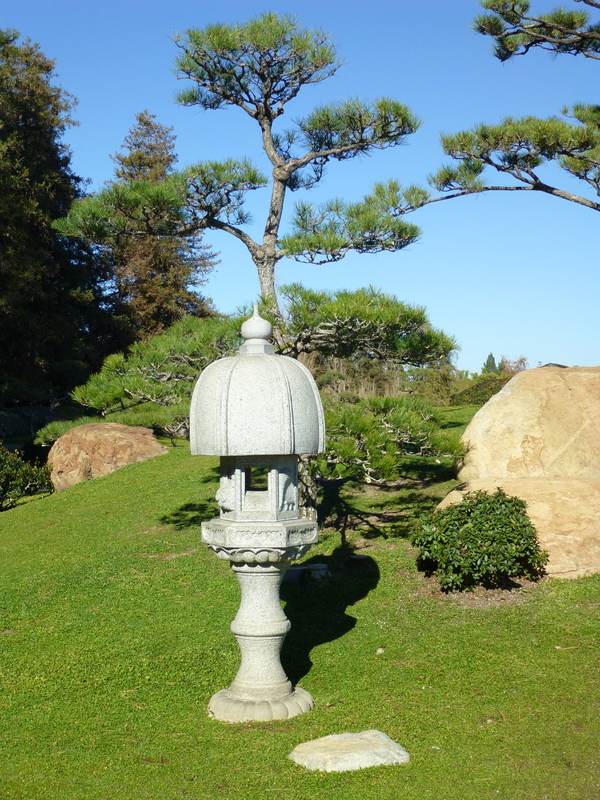 Admission to the Garden is only $3.00 per person, $2.00 for Seniors 62+ and Children under 10. Exact change is appreciated. 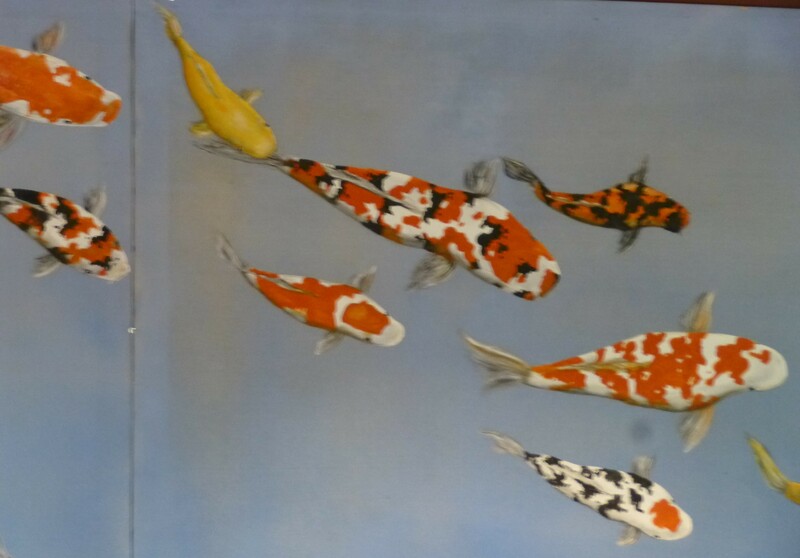 This Koi Fish Mural is painted across the walls inside the Visitors Center. OMG! I have friends that got married there (on my birthday!). Sadly, they are divorced now, but it was an epically beautiful wedding to be surrounded with all that gorgeousness!